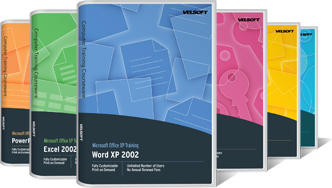 Seeing is Believing This sample manual to teach Office XP is in MS Word format. Are you still using Microsoft Office XP? If so, do you take advantage of all the features that it offers? From Excel spreadsheets to professional Word documents and PowerPoint presentations, Microsoft Office XP is still a powerful suite that can accomplish various tasks at a professional level… that is if you have the proper training! With this courseware bundle you will receive all of the materials needed to begin training, and with the ability to customize the lessons, you will have that personal advantage if you decide to take that route. If you're not sure that this is the right program for you, then please feel free to Download a free sample to take a look. Also, our informative and helpful customer service team is able and willing to help you along with your decision.